Concept developer, curator and creative project lead on the cross section of tech, media and art. She favors projects that are a little bit crazy, but always keep the experience of the visitor/user at the centre of their thinking. Since 2018 Annelies Termeer is editor in chief at VPRO Medialab. 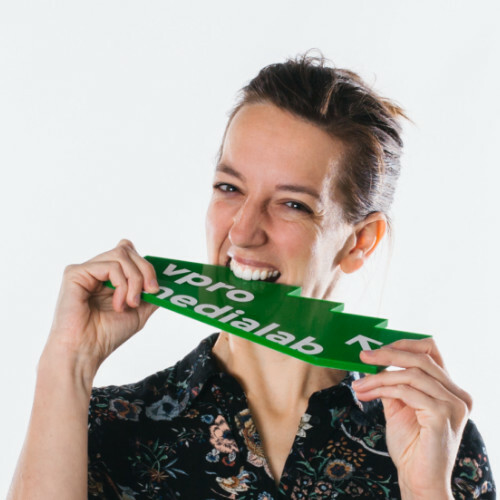 Annelies Termeer has been involved in the projects from the beginning of VPRO Medialab in 2015. She was project leader for Hackathons, weknowhowyoufeel.nu (the online part of We Know How You Feel during the DDW 2017) and Home Smart Home. This last project, which is central in 2018, focuses on the Internet of Things. With Home Smart Home, VPRO Medialab wants to explore the possibilities of storytelling in, around and with a ‘smart home’. Furthermore, the project also wants to contribute to awareness around the Internet of Things.